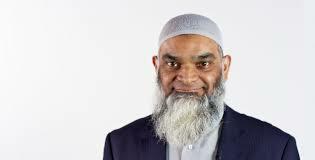 Dr Shabir Ally hardly needs an introduction to those who follow Islamic Dawah and apologetics: Almost single handedly responsible for intellectualising the field, his debates and dialogues are often master-classes which have inspired a whole generation of Muslims. By rising above mere emotion and rhetoric and grounding his ideas in the latest Bible scholarship and academia, he has made himself a valuable example and resource for people of any faith or persuasion. A gifted yet humble communicator – he has elevated the field of Muslim Dawah and debate and is clearly the unofficial but universally recognised avant guard of the new generation of Islamic intellectuals. He holds a PhD in Quranic Exegesis and teaches Arabic at the University of Toronto . He is also the founder of the Islamic Information & Dawah Centre International. Born in Guyana, he moved to Canada in the 1970’s. The word for man (ar-Rajul) and the word for woman (Imra-ah) occur 24 times each. The word for satan (shaytaan) and the word for angel (malaa-ikah) occur 68 times each. The word for this life (dunya) and the word for the next life (aakhirah) occur 115 times each. The word for month (shahr) occurs 12 times. The word for two months (shahrayn) occurs 30 times. The word for day (yaum) occurs 365 times. The word for dry land (barr, etc.) occurs 13 times when contrasted with the word for sea (bahr) which occurs 32 times. Now 13 to 32 happens to be the approximate ratio of land to water on the surface of the globe. What explains these instances of correspondence? There are three viable considerations: either it is by chance, by human design, or by divine design. But these are too much to credit to mere chance. Nor did it come about by human design. No one knew about this until recent studies uncovered it. Anyone familiar with the history of the Quran will know that the Quran is a collection of inspired messages which the prophet Muhammad, peace be upon him, recited, a piece at a time, over a period of twenty-three years, often in response to new and unexpected events. It is obvious that the number of times he used certain words in all of his recited pieces could not conceivably be kept in his memory. It is difficult enough to count the words from the printed page to make sure that your count is correct, much less to suggest that someone already did this using his memory. To remember, for example, how many times he mentioned the word ‘day’ over a period of 23 years would be an insurmountable task. We are therefore left with the third of the three options: that it is by divine design. Hence we now have further evidence that the Quran is the word of Allah. And below are yet some more instances of this phenomenon. The numbering of chapters and verses in the Quran gradually evolved during the first few centuries of Islam in order to facilitate correct reading and easy referencing. Hence we can be sure that the number of chapters in the Quran and the number of verses within each chapter was not invented by man but only discovered by man. The early memorized text was not accompanied by verse numberings. Many Muslims who have memorized large portions of the Quran would be hard pressed to say how many verses a particular memorized chapter contains. But as the text was written and copied over, scribes introduced niceties to make the text more user-friendly. At first, the text was written without any identifiers to mark the end of verses. And this led to different suggestions as to where one verse ends and another begins. Eventually it was thought wise to leave a space at the end of a verse to aid the uninitiated reader. Later copyists put a circle in each space thus adding a decorative feature to increase the visual clarity of the written page. Later copyists began to number the circles, at first numbering every fifth circle. In the final stage every circle was numbered, and today we can easily see a number marking each verse of the Quran. Hence, the number of verses was implicit at first in the text as it was recited from memory. Later, the number of verses was gradually made explicit by a natural process of copying and discovering. It is clear, then, that no human decided that a certain chapter should have a certain number of verses. Yet there occurs many instances of surprising correspondence between numbers of chapters, verses, words, and letters in the Quran. It appears that the number of verses could have been almost any number, and that 29 was chosen to result in this correspondence. Again, it appears, that the number of words in this verse was chosen to bring about this correspondence. 43+71=114 which is the total number of chapters in the Quran. Since 28 chapters mention Noah, how many chapters do not mention Noah? The answer is 114–28=86, which is 43 times 2. Now consider that the last mention of Noah is in the chapter of Noah. It turns out that of the 86 chapters that do not mention Noah, 43 chapters come before the chapter of Noah and 43 chapters come after it. This can be shown mathematically, given the facts above. No chapter after chapter 71 mentions Noah. Therefore there are 114-71=43 chapters after chapter 71 which do not mention Noah. And, of the first 71 chapters in the Quran, there are 28 chapters which mention Noah. Therefore there are 71-28=43 chapters before the chapter of Noah which do not mention Noah. Hence the chapter Nuh (Noah) numbered 71 is strategically placed and its number of verses is apparently chosen to bring about these complex relationships between the numbers involved. The chapter ar-Ra`d (Thunder) is numbered 13, and is so named because it mentions the word ‘thunder’. That word occurs in verse number 13. This verse also, coincidentally, occurs in the 13th part of the Quran. Being comprised of 114 chapters of unequal length, the Quran is divided into 30 parts of roughly equal length such that a reading of a part each day will complete the book in a month. The 13th verse of the 13th chapter does not have to occur in the 13th part., but it does. Now, the same verse has 19 words. These words are written with 83 letters. There is one other place in the entire Quran that mentions ‘thunder’. That is chapter 2, verse number 19. This verse also has 19 words written with 83 letters, although the words are mostly different. It appears that these instances of correspondence were planned, though not by any human being. Words based on this root are used in 32 different chapters of the Quran, hence corresponding to the number of this chapter which bears the related name. The verse in this chapter which mentions prostration is such that a believer naturally wants to prostrate to God after reading it. Now, in the entire Quran there are 15 such verses which have been traditionally noted as ‘verses of prostration’. The number of verses in this chapter is 30. Half of that number is 15. It turns out that the number 15 is also the number of the verse of prostration in chapter 32. There are 372 words in this chapter. Half of that is 186. It turns out that the key word in this chapter is the 186th word in the chapter. Chapter an-Naml (The Ant) is numbered 27 and has 93 verses. It begins with two mysterious letters which correspond roughly to the English letters T and S. These two initials do not spell a word. Commentators of the Quran generally say that although nothing in the Quran is without a reason, they do not know the reason for these and other such initials being placed at the start of some chapters. But consider these observations. In chapter 27 the letter T is written 27 times. In this same chapter, consisting of 93 verses, the letter S is written 93 times. It seems that this correspondence was planned. But not by humans. It is difficult enough to try and count the letters in the written text. It would have been a gigantic task for anyone to have done this from memory. And even if someone had used secret notes, it is difficult to see why he or she did not tell anyone about this remarkable feature. One mentally connects chapter 9 and 27 for the following reason. Every chapter of the Quran except chapter 9 begins with the familiar phrase called the ‘Basmala’, usually rendered in English as “In the Name of God, Most Gracious, Most Merciful.” On the other hand, chapter 27 is the only chapter that mentions the phrase in the body of the chapter. Hence, one reading the chapters sequentially is initially surprised to find it absent from the beginning of chapter 9 and again present in the body of chapter 27. Now consider the numerical relationship between these two chapters. The difference between the chapter numbers is 27-9=18. The number of chapters from 9 to 27 inclusive is 19. In chapter 27 we have the only verse in the Quran to mention the word ‘ant.’ The verse number is 18 and it contains 19 words, thus highlighting the interplay between 18 and 19. To send data in a telecommunications network, start and stop information, origin and destination information, and error check bits must be added to the encoded data to form a data packet. . . . The error check bit is used to make sure the data received were not garbled during transmission. . . . In asynchronous transmission, the commonly used error check method is a parity bit. A parity bit is an extra bit that makes the sum of bits representing a character either even or odd. There are 114 chapters numbered in sequence 1, 2, 3, etc. The numbers of verses in each chapter do not form a predictable pattern. The longer chapters generally come earlier, and the length of chapters gradually reduce, though not in a straight line. Hence we have the number of verses for the first ten chapters in sequence being 7, 286, 200, 176, 120, 165, 206, 75, 129, and 109. The numbers seem to go up and down with no predictable pattern. It is a simple observation that the chapter numbers alternate between being odd and being even. Hence 1 is odd, 2 is even, 3 is odd, etc. Surprisingly, 57 of these results are even numbers and 57 are odd numbers. Surprisingly this sum is also the total number of verses in the entire Quran. If we take the sum of all the odd numbers, the result is 6555. Hence we see that the total verses in each chapter form a complex relationship with their chapter numbers on a grand scale. It is too much to suppose that this double correspondence is a mere coincidence. These two numbers are so large that the possibility of their chance coincidence is extremely rare. It is easy to see that what we have here is a complex arrangement containing an internal assurance of the system’s faultless preservation. It is fair to conclude that we have demonstrated here a grand design pointing to the Quran’s divine origin and faithful preservation. In this age of science and computers, when many have turned away from belief in God, it is reassuring that we still have a message which reaffirms belief in God. But it is not enough to marvel at the mathematical miracle from the maker of mankind in the message of Muhammad (pbuh.) In the face of this remarkable demonstration that the Quran is the Word of God we ought to begin now a life-transforming relationship with our Maker. Muslims and Christians agree that Jesus was born of a virgin, that he performed mighty miracles, and that he is now alive. We believe that he was the Messiah, a prophet of God, and his righteous Servant. But we also disagree on some things. Can a historical study help us to decide who has the true account of Jesus? I believe so. Christians believe that Jesus was the divine Son of God, that he is the second person of the Holy Trinity, and that he is our personal savior who died for the sins of the world. On these points Christianity diverges from Islam. But on these points Christianity also diverges from the true historical Jesus, as I will now demonstrate. The four gospels in the Christian Bible are the primary materials available for a historical study of Jesus. When we compare the gospels one to another we can see how the stories about Jesus were changed to reflect a higher view of Jesus. You can conduct this type of study yourself if you have a cross-reference Bible. Refer to an episode in one gospel, then cross-reference it to another gospel where you will find the same episode. Note the similarities and the dissimilarities. Comparing Mark to Matthew in this way, we have seen how Matthew has reworked the material to bring out later Christian teachings. I am the resurrection and the life. Whoever has seen me has seen the Father. If Jesus had said these things, the other gospels would have surely recorded them. But they did not, because he did not say these things. John recorded them because this was part of the later evolved story about Jesus. Later Christians would focus more on the Gospel of John, and less on the Gospel of Mark. It is often the Gospel of John that is quoted as proof of Jesus’s divine sonship. Although Mark also calls Jesus the son of God, the title here can be understood as meaning a righteous servant. But in John Jesus is the “only-begotten son” (John 3:16). The manner in which Jesus approaches death has also been reworked in John. In Mark Jesus begs God to save him from the cross, though he submits to God’s decision. In John Jesus declares that he will not pray to be saved (12:27). On the contrary, he asks God to go ahead according to plan. Jesus in John obviously came to die for the sins of the world. Hence he declares that no one can take his life away from him since he has authority to lay down his own life and take it up again (10:18). Jesus declared in John that no one can take his life from him. Since he gives it up of his own accord, even the scene of his arrest has been modified to reflect this. In Mark Judas the betrayer had arranged to mark Jesus out with a kiss. But in John Judas dares not draw close to the cosmic Jesus whose very breath blows the crowd away. Unless Jesus gives himself up he cannot be arrested (John 18:3-12). We can in this way multiply the examples of how one after another the gospels went about modifying the image of Jesus for later readers. The writers did not intend for us to make these comparisons. Each gospel was initially circulated independently. Eventually, however, they were collected together and passed down to us in a single book, the Holy Bible. Today in studying the gospels we can notice the trend to represent him as Lord and Savior. To find the real historical Jesus we have to retrace the trend from John back to Mark. But how about beyond Mark? When we compare Mark with the later gospels we notice the modifications in the later ones. If we could compare Mark with its predecessors we would find that Mark has also modified his story. But that has to remain for another study. In the meantime, how can we find the real historical Jesus? I believe we can find him in the Qur’an. Since the Qur’an is demonstrably the word of God, what it reports about Jesus is true as told by God himself. I was delighted to see that Dr. James White took the time to respond to my written “My Reflections on the Ally-White Debate” which can be read here: http://shabirally.wordpress.com/2012/03/27/did-jesus-claim-deity/. As I read through James’ “Brief Thoughts Regarding Liberal Scholarship, Redaction Criticism, and Islam (Part 1),” several questions arise which I hope he will answer. His “Brief Thoughts” can be read here: http://www.aomin.org/aoblog/index.php?itemid=5034. Due to the nature of the issues, we may continue to disagree. This is natural. We are two different individuals each with a distinctive set of experiences. In our past debates, James had criticized me a lot on the basis of his perception that my position depends on the findings of liberal Christian scholars. That is a useful criticism. We all need to be aware of the presuppositions that lay behind views lest we unwittingly contradict ourselves by accepting views with presuppositions contrary to our basic beliefs. However, in response to his criticisms, I have always explained that my perception of the matter was contrary to that of James, and that I really was coherent in my approach. My ideas were quite reasonable on their own. Moreover, I supported my ideas with citations from conservative Christian scholars. Nonetheless, I continued to take James’ criticism seriously. But it is now clear to me that I have effectively answered James’ criticism. Hence James’ repetition of the same criticism is quite puzzling. In this paper I attempt to make sense of James’ criticism, and I point out what I see as flaws in his reasoning. I find James to be inconsistent, for he deals with the Quran in a critical manner, but he argues that it is illegitimate for me to deal with the Bible in a critical manner. For example, in the recent Toronto debate, during his opening presentation, James attempted to show that the Quran contradicts itself. Now, let me ask him. Is he relying on the view of conservative Muslim scholars in arguing that the Quran is self-contradictory? Obviously not! No conservative Muslim scholar will say that the Quran is self-contradictory. In fact, James did not cite an authority for his claim, as far as I can recall. Therefore, James proceeds as if it is legitimate for him to criticize the Quran in a way contrary to the views of conservative Muslims. Yet he calls foul if cite the ideas of conservative Christian scholars insofar as those ideas are contrary to what James accepts. Is this not a major inconsistency on his part? James does not see the logical flaws in his arguments. For example, he argues that since I am a not a naturalist I have no right to hold the same ideas as do liberal Christian scholars whose ideas are based on naturalism. James’ manner of putting the matter is fallacious for three reasons. First, as I will show below, the ideas I am advancing are not contrary to my Muslim views of God and his action in the world. The fact that I believe in God does not entail that I believe every claim that people have made on behalf of God. As we will see in the case of the Gospels, the claim that they are all from God is difficult to maintain in light of the evidence available to all persons whether Muslim or non-Muslim. Second, as I will show below, the Muslim believer is not required by his Muslim faith to believe that the existing Gospels in their totality are the Words of God. Third, James is calling on me to accept that the Quran is self-contradictory. As I explained to him during our London debate in 2008, however, if I accept his call then I will have to abandon my Muslim faith altogether. In that case I will not have my supernaturalistic presuppositions to rely on. Obviously, I cannot abandon my faith and also keep my faith presuppositions. Now James is requiring me to do two mutually contradictory things. First, he wants me to believe that the Quran is self-contradictory, and that entails abandoning my faith. Second, he wants me to keep my supernaturalist presuppositions, and that entails keeping my faith. James cannot have his cake and also eat it. He has to decide what he wants. Does he want me to keep my faith or lose it? Moreover, the principle which James espouses is a non-starter as far as debates go. If each side in this debate refuses to look carefully and critically at the evidence advanced by the other side, then what’s the point of the encounter? I prefer to build understanding. I feel that I understand Islam more than I understand Christianity; and that James understands Christianity more than he understands Islam. By listening to each other, we both come away better informed than we were before we started. This way I learn more about Christians and what they believe; and James learns more about Muslims and what Muslims believe. On the other hand, if I mirror James’ principle by not listening to any but conservative Muslim scholars, what will I do? I will say that Muslim scholars believe that Jesus is not God, and that the Bible has been changed, and that is the end of the matter. Instead of mirroring James’ principle, I realize that I have to deal with the evidence for the claims at hand. I cannot just appeal to Muslim tradition, or Muslim scholars. I would hope that James will come to a similar understanding, and that our dialogue will progress. We need to listen to the evidence, regardless of where and from whom it comes. Then we need to critique such evidence using acceptable critical tools and methods. Despite James’ demonstrable inconsistency, James has invested a lot of time trying to show that I am the one who is inconsistent. I will explain again why I feel that my approach is reasonable and justified. I expect that, as a non-Muslim, James will have ideas which are foreign to mine, and that he will appeal to scholars who share his views. It is in the nature of such engagements that I should listen attentively to James’ ideas, to the evidence he offers in support of those ideas, and any sound logic he employs in reasoning with those ideas. It will then be my task to evaluate the evidence presented by James. I will then accept good evidence and sound arguments regardless of the fact that this was being presented to me by a non-Muslim. This I believe to be demanded of me not only by the rules of reasonable discourse but also by the dictates of the Islamic tradition. According to a Muslim tradition, wisdom is the lost property of the believer. Following that tradition, I must accept a reasonable saying regardless of where and with whom it is found. As for the rules of reasonable discourse, if I were to reject James’ ideas simply because they come from a non-Muslim source then I would commit a logical fallacy. If I argue that an idea is incorrect because it comes from the wrong source then I commit the genetic fallacy. The fact is that good ideas can sometimes come from unexpected sources. If I reject James’ ideas simply because he or his scholars are the wrong persons to be voicing the right ideas, then I commit the ad hominem (against the man) fallacy. This is a fallacy committed when a disputant ignores the evidence but argues that the idea must be wrong because his opponent is the wrong person to advance such evidence. To avoid these and other such logical fallacies, I must think straight about the reason, evidence and proof presented in support of James’ ideas. And, in order to think straight about the ideas, I have to disregard the question of whether or not I or James or my scholars or his scholars like the ideas. Such are the principles to which I commit myself. And I expect James to commit himself to similar principles. On the other hand, when I cite evidence in support of my views, James either ignores the evidence or demeans the evidence as coming from liberal scholars. Instead of showing that the views are incorrect, or that the evidence in favour of such views is weak, James argues that the people who hold those views are not worth listening to. By arguing in that manner, James commits the logical fallacies which I have described above. Moreover, James ignores my evidence by simply arguing that I am inconsistent. Here again he commits the ad hominem fallacy. He is arguing, in effect, that since he thinks that I am inconsistent, he does not have to deal with my evidence. If he wants to avoid committing such fallacies, he will have to show that my evidence does not hold up. Even if I am inconsistent, that does not prove that all of my evidence is false. If I point to a feature of the Bible, and James thinks that I ignore a similar feature of the Quran, that still does not stop the feature from being a feature of the Bible. His argument takes the form of saying, in effect, “Shabir, your book has that problem too.” This type of argument is the fallacy known as tu quoque (you too). However, as mama always said, “Two wrongs do not make a right.” James has to answer the point rather than simply pointing to me. Assuming a particular schema for dating the gospels, Shabir assumes that Matthew and Luke both possessed the text of Mark, and were editing the text to suit their own purposes. I would ask him how that would work, for, of course, if they possessed Mark, so did others, and, if they changed Mark’s wording, wouldn’t that cause obvious problems when they sought to make their resultant literary works available to the very same community? There are three problems with what James said there. First, I did not assume a schema for dating the Gospels. I did not assume that Matthew and Luke possessed the text of Mark. To begin with, I cited conservative Christian scholars who hold to the dates I mentioned for the composition of the Gospels. To be fair, James should have written that Shabir cited conservative Christian scholars who held to relatively late dates for the composition of the Gospels. Then James should proceed to give good reasons for not agreeing with those Christian scholars. However, he speaks as if I provided no supporting expert testimony, and as if my argument is based only on my assumption. It is easier for him to claim that I am wrong about this than it is to claim that the conservative Christian scholars are wrong about this. By thus recasting my argument in a form that is easier for him to refute than was my original argument, James has committed what is called the straw man fallacy in argumentation. The fallacy is so named because it is typically easier to knock down a straw man than it is to deal with the real man. Second, I did not assume that Matthew and Luke used Mark. I cited the conservative Christian scholars F.F. Bruce and Richard Bauckham as holding to the same view. I did not assume that Matthew and Luke were editing the texts of Mark to suit their own purposes. I proved that this was being done in the case of Matthew by providing eight examples complete with chapter and verse numbers locating the comparable episodes in both Matthew and Mark. I would ask [Shabir] how that would work, for, of course, if [Matthew and Luke] possessed Mark, so did others, and, if they changed Mark’s wording, wouldn’t that cause obvious problems when they sought to make their resultant literary works available to the very same community? Now James assumes that either everyone in a community possessed the earlier Gospel or nobody did. But the fact is that some persons may have possessed copies of the earlier Gospel before it went into more complete circulation. True, some people may not have travelled far from their birthplaces. But some people did. There were missionaries, for example. A missionary could have possessed a copy of the earlier Gospel and used that as a source in composing a Gospel of his own for a community that did not yet hear of the earlier Gospel. Hence it is quite possible that Matthew and Luke had access to Mark’s Gospel even if their communities at large did not have access to it. Moreover, James has heard me over and over explaining the development of Christology among the Gospels. My very point has always been that the Gospels were written and circulated initially in different communities such that those who were reading one Gospel did not necessarily know the other. My view is supported by Christian tradition which associated Mark with Rome, Luke with Caesarea, Matthew with Antioch, and John with Ephesus. Since I have already said this many times, and James has heard it many times, why does he still write that he would ask me: “Wouldn’t that cause obvious problems when [Matthew and Luke] sought to make their resultant literary works available to the very same community?” As I have always explained, the writers were not seeking to make their resultant works available to the same community. They were writing for different communities. The masses in one community did not necessarily know what the masses in another community were reading. The writers knew. But the common people would not generally find out until the Gospels were collected together and compared. And, by this time, the four Gospels were already too well entrenched in Christian communities to be contested. Below, under the caption “How we know that Mark used Matthew” I will return to the question of how Christians who knew one of the Gospels, either Matthew or Mark, would have reacted when they came to read the other of the two. There I will show that if Matthew had already been popularized in a region Mark stood no chance there of gaining ground. The problem which James asked about would only have occurred if Mark attempted to introduce his Gospel in a region in which people were already reading Matthew. For, in that case, people would have objected to Mark’s Gospel. To them, it would have seemed that Mark’s Gospel belittles Jesus. On the other hand, if Mark was already being read in a region, people would have welcomed Matthew’s Gospel as a vast improvement over Mark. Mark: late 50s at the latest. Luke and Matthew: in the 60s. As for John’s Gospel, James said that some people have made strong arguments for it being written before the year 70 A.D. I should point out that my case does not depend entirely on the late date of the Gospels. Even James’ proposed earlier dates will do for the purpose of supporting the view that Matthew and Luke used Mark. All that is necessary for the main thrust of the position I have advanced is the recognition that Matthew and Luke used Mark. And that entails that Matthew and Luke were written after Mark. Given the dates which James has suggested for the composition of the Gospels, it follows that Matthew and Luke were written after Mark. In that case, I would ask James his own question, but now with reference to Luke: What if Luke used Mark? Wouldn’t that cause obvious problems when Luke sought to make his resultant literary work available to the very same community? James may reply that Luke did not change the story. If so, then I can supply evidence of Luke’s modification of the material as well. However, in my view, readers would have welcomed Matthew and Luke as improvements over Mark. I will show why this is the case below. Furthermore, I will now show that, on the basis of James’ ordering of the Gospels, even Matthew could have used Mark. James accepts that Luke used written sources because Luke said so. Now, it stands to reason that a writer may have used sources but did not say so. Matthew could have used Mark without saying that this is what he did. In fact, some conservative Christian scholars think, contrary to my view, that Mark used both Matthew and Luke. But Mark nowhere states this fact. It follows from that conservative Christian view that a Gospel writer used two other Gospels without acknowledgement. In a similar way, Matthew could have used Mark without acknowledgement. In the final analysis, however, I fail to understand why James is contesting this point by asking me about the obvious problems that will arise when Matthew made his version of the Gospel available to the same community that was already using Mark. I am puzzled here because in the same “Brief Thoughts” James also wrote that Matthew and Mark were “both seeking to communicate the same concept, though to two different audiences.” Hence James suggests to me in one breath that problems would arise from the two Gospels being read in the same community. Then James asserts in another breath that the two Gospels were communicating to two different audiences. So, when it comes to the discourses of Jesus in John, I have been more cautious. Whereas the Synoptics usually preserve the sayings of Jesus as his disciples learned and remembered them, varying and expanding them for interpretative purposes only to a quite limited degree, John seems to avail himself of the permission generally allowed ancient historians to put into his own words the sort of thing Jesus would have said. So the discourses of Jesus in John are peppered with traditional sayings on which John has expanded with his own reflective interpretation. The more interpretative nature of John’s Gospel makes it appropriate, on occasion, to treat this Gospel’s handling of a topic separately from that of the Synoptics. Hence, according to Bauckham, all the Gospels, the Synoptics (i.e. Matthew, Mark, and Luke) and John, have varied and expanded the sayings of Jesus for interpretative purposes. The synoptic Gospels did this to quite a limited degree. But John did this to a greater degree. According to Bauckham, John “put into his own words the sort of thing Jesus would have said.” What I have done is to concentrate on Matthew’s handling of Mark’s account. Matthew has mostly stayed close to Mark’s wording, but enacted skilful changes in the record. Thus he has made slight verbal alterations, but with significant theological implications. Though he has modified the wording of the statements to quite a limited degree, Matthew has vastly improved the image of Jesus in his Gospel. James disparaged redaction criticism a lot in his “Brief Thoughts.” Seeing that James did not define redaction criticism in his paper, I will offer here a simple definition as it relates to the composition of the Gospels. Redaction criticism of the Gospels is the careful study of the Gospels to discover the trends that characterize each author’s selection, modification, and composition of the material that comprise his Gospel. In other words, redaction critics recognize that each Gospel writer has an agenda, and a careful examination of the Gospels will reveal some of the writers’ agendas. To read the Gospels … we must continually be alert both for the question ‘what is this telling us about Jesus?’ and for the question ‘what is the evangelist trying to say, through this story about Jesus, to his own contemporaries?’ This means working out why the evangelist has selected and arranged his material in the way he has, and seeing whether that forms something of a pattern which tells us about his own agenda, the points he wanted to emphasize. Hence, according to Wright, the evangelists (the Gospel writers) had their own agendas, and by studying the comparative use of materials in the Gospels we can discover some of the writers’ agendas. That is precisely what redaction criticism is. I have shown that, compared with Mark, a pattern of handling the tradition is discovered in Matthew: Matthew has improved the image of Jesus in eight different ways. James oversimplifies the history of Christian scholarship on the question. To him, redaction criticism comes from liberal scholars. However, a review of the literature shows a very complex history in which Christian scholars had to wrestle with real problems over the centuries. For example, Christians in the middle ages had held that at least two Gospels were written by Jesus’ disciples: the Gospel of Matthew and the Gospel of John. At the same time, Christians held that Mark’s Gospel was written by a disciple of Peter, and that the Gospel of Luke was written by Paul’s physician. What do we know about how the Gospels got written? Frustratingly little. We don’t have Matthew’s diaries of how he went about collecting and arranging his material. We don’t know where Mark was written. We don’t know whether Luke really was, as is often thought, the companion of Paul. We don’t know whether the ‘Beloved Disciple’ to whom the Fourth Gospel is ascribed (John 21:24), was really ‘John’ (in which case, which ‘John’?) or someone else. None of the books name their authors . . . . Hence it is clear that, according to Tom Wright, we do not know which Luke wrote Luke’s Gospel, and we do not know who wrote John’s Gospel. We do not even know if his first name was really John. When Christian scholars began to propose these revisions to the traditional view regarding the Gospels they were met with ridicule by those who preferred to stick to traditions. But, little by little, the weak foundations on which the traditions rested became more and more apparent. Eventually, the newly proposed views became widely accepted, to the extent that many conservative Christian scholars now accept the revised view. Since we do not have Matthew’s diaries to know how he collected his material, what prevents us from thinking that he got his materials from Mark’s Gospel? If Matthew was a disciple of Jesus, we would expect that he should not rely on Mark. We would expect the disciple of Jesus to compose a Gospel from his memory of Jesus. James writes that Matthew was drawing from the same oral tradition from which Mark drew. But we will see below that there is sufficient evidence to show that there is a literary relationship among the synoptic Gospels. By positing the idea that the similarity among these Gospels is due entirely to their reliance on a common stock of oral tradition, some conservative scholars are trying to avoid the negative implications that stem from the fact that Matthew copied Mark with modification. We will see evidence below that Matthew was not only drawing on oral traditions. Rather, he was also copying Mark. The evidence for this is so overwhelming that even some of the most conservative scholars have had to adjust under the weight of the evidence. It is precisely because of such evidence that redaction criticism became a widely accepted method of enquiry. My next question arises from James’ mention of naturalistic biases. Is he saying that F.F. Bruce and Richard Bauckham arrived at later dates for the Gospels due to their naturalistic biases? It is clear from a survey of the literature that only some of the most conservative scholars will agree to James’ early dates for the Gospels. Nonetheless, as I have mentioned above, the dating of the Gospels is not crucial for my argument. What matters is that Matthew and Luke were written after Mark. James acknowledged, during the cross-examination, that the early church believed that Matthew was written first. But then James added: “I do not know which was written first. Mark may have been written first.” James then proceeded to give dates for the composition of the Gospels which show that Mark was indeed written first. As I have shown above, James suggested that Mark was written in the 50s; Luke and Matthew in the 60s; and John possibly before the year 70 A.D. What is most significant here is that James not only accepts the possibility that Mark was written first, but he also furnishes dates to show that Matthew and Luke were written a decade after Mark. The decade that followed the writing of Mark and before the writing of Matthew and Luke would have been sufficient for Mark to become well accepted in the community for which it was first intended. Matthew and Luke could not take away Mark’s Gospel from the community that first read it. Matthew and Luke could only rewrite Mark’s Gospel with improvements for readers in other communities. The manner in which Matthew changed the information as contained in Mark is problematic for the belief in the inspiration of the Gospels. For, why would the same Holy Spirit inspire Mark to write one thing, and then inspire Matthew to change it in the theologically significant ways we have demonstrated above? Due to that and other such implications, it is understandable why James and other conservative scholars would resist the suggestion that Mark wrote first. But the evidence for Markan priority is now weighs so heavily that James finds himself accepting it even if only as a possibility. Those who think that Matthew used Mark usually think that Matthew also used Q which was probably a written source, and that Matthew also used M, another putative source which may or may not have been written. Hence this is a comprehensive view that takes into consideration all the evidence. According to this view, Matthew used both written and oral sources. By way of contrast, James’ view is a limited one that excludes a priori the evidence that Matthew used Mark. Now my question to James is this: You suggest that Mark was written in the 50s and Matthew was written in the 60s; and Wright wrote that we do not have Matthew’s diaries to know how he collected his materials. How can you be so sure that Matthew did not use Mark in addition to oral tradition? James argues that there is a reprehensible anti-supernatural bias that is at the foundation of the view that the Gospels are copied one from another. He is incorrect. The view that there is a literary relationship among the Gospels is necessitated by several observations regarding the actual content of the Gospels. Such observations can be made by anyone regardless of their commitment to either liberalism or conservatism. It would be beyond the scope of this brief article to give a full account of the phenomenon here. But a brief treatment will suffice. The comparable saying is found in Matthew 24:15-18 and Luke 21:20-22. Now consider the statement in parentheses as it occurs above in Mark 13:14: “Let the reader understand.” It is clear that that statement breaks the flow of Jesus’ speech. It is as if Jesus in mid-sentence stopped to tell his listeners, “Let the reader understand.” Even if Jesus did break his address to mention such a remark, which is not unusual for a speaker, it is more likely that he would have said, “Let the hearers understand.” It is thus more likely that someone inserted the statement “Let the readers understand” after the above saying of Jesus was already put into writing. Moreover, in the comparable saying of Jesus in Matthew’s Gospel the same parenthetical remark is there at the same juncture. Hence either it is the case that Matthew and Mark both copied this from another written source, or it is the case that one of them copied it from the other. If it is said that the Gospel writers were just faithfully recording the sayings of Jesus exactly as he spoke them, and that they are identical because they are both accurate, then this does not explain why the parallel sayings do contain differences. And it does not explain why Luke omitted the parenthetical remark. Furthermore, Jesus spoke Aramaic. But the Gospels are written in Greek. Hence the saying was translated from Aramaic into Greek. Are we to think that the saying of Jesus was independently translated by both Matthew and Mark in the identical manner with the parenthetical statement in the same spot? If someone should say that this proves that the Gospel writers were translating Jesus’ speech accurately, we should ask what would explain the numerous instances when Jesus’ speech was obviously not translated uniformly across the Gospels. Rather, the following sequence of events is far more likely. First, an Aramaic statement, thought to be Jesus’ speech, was translated into Greek. Second, the Greek translation of that speech was put into writing. Third, someone before Mark, or Mark himself, added to the written speech the parenthetical comment, “Let the reader understand.” Third, Matthew copied the statement from Mark together with the parenthetical comment. This scenario makes best sense of the evidence. On the other hand, it makes no sense to say that Matthew and Mark are similar here due to their common reliance on oral tradition. Again, this example was not invented by me. This is what Robert Stein offered. Hence nothing will be gained in a reply that begins by saying that Shabir is misunderstanding the Bible. Replies to this should address Robert Stein and his knowledge of the Bible. By the way, is Stein a conservative or a liberal Christian scholar? Moreover, the above is only one example of the presence of parallel parenthetical comments in the Gospels. Anyone attempting to prove that this phenomenon does not exist will have to propose a competing theory that makes good sense of the examples offered by Stein. I have thus demonstrated that the parenthetical comments betray a literary relationship among the Gospels. But the parenthetical comments do not by themselves show whether Matthew copied Mark or Mark copied Matthew. To decide the direction of copying, there are other factors which I will address under the appropriate heading below. 7. Did I Respond Effectively to James’ Points? In his presentation James showed that, in the generation immediately after that of the disciples, Ignatius asserted the divinity of Christ. On that basis, James argued that Jesus must have claimed deity. Moreover, Paul in his writings asserted the divinity of Christ. To James, Paul’s assertion, coming so soon after Christ’s ascension, proves that Jesus must have claimed divinity. James then cited passages from Mark, Matthew, and Luke showing that on various occasions Jesus made claims that place him at a higher level than that of the Muslim conception of a Messenger of God. In Mark, for example, Jesus forgave the sins of the paralytic. And who can forgive sins but God? Jesus affirmed that he is the Son of the Blessed. In Matthew, Jesus asserted his intimate knowledge of God, this being something that the Quran does not accept. James argued on the basis of Matthew 7:21 that it is necessary for people to call Jesus Lord in order to enter the Kingdom of God. In Luke Jesus is shown to have fulfilled everything written of him in the Old Testament. Moreover, in Matthew 28 Jesus says that he is given all authority, and that he will always remain with his disciples. To James, the above sort of evidence proves that Jesus claimed deity. And such evidence, James reminds us, comes from the Synoptic Gospels, for he had not cited John’s Gospel thus far. Then James argued that the Quran contradicts itself. For, on the one hand, the Quran tells Christians to judge by what Allah has revealed in the Gospel (Quran 5:47); and, on the other hand, the Quran denies the deity of Christ. To James, this contradiction in the Quran resulted from Muhammad’s ignorance of the Gospels. According to James, Muhammad vainly imagined that contents of the Gospels are in accord with his own teachings in the Quran. Thus James asserted that Muslims are now in a quandary. To escape from this problem, Muslims would assert that the Gospels were already corrupted before Muhammad’s time. But that solution, according to James, will not work, since the Quran (5:47) clearly commands the Christians to judge by the Gospel. This means that the Christians at the time must have possessed the true Gospel. Moreover, the Quran asserts that in the Gospels are guidance and light (Quran 5:46). Then James criticized my approach to the Bible in general and to the Gospels in particular. He argued that I love the liberals who use redaction criticism to cut apart the Bible. But if those same scholars were let loose to apply their methods to the Quran they would equally cut apart the Quran. Obviously, Muslims would not follow such liberal scholars. James urges us to recognize that such scholars are not the friends of Muslims. James argues that I am therefore inconsistent in applying such scholarship to the Bible but not to the Quran. Muslims should, however, apply just balance as the Quran itself (55:9) directs us. This entails that just as we would not apply such destructive methods to the Quran we should not apply them to the Bible. James ended his speech by quoting the incident from John’s Gospel where Thomas refers to Jesus as “My Lord and my God.” James concludes by saying that in terms of both history and theology the answer to the question of our debate is positive: Jesus claimed deity. The fact that Paul asserted the divinity of Jesus does not prove that Jesus claimed it for himself. In the Acts of the Apostles in the New Testament it is clear that the original disciples of Jesus continued to preach that Jesus was a servant of God and that Jesus was the Messiah—and that is precisely what Muslims believe. Acts of the Apostles also shows that it was Paul who began to preach that Jesus is the Son of God. Moreover, in Acts of the Apostles it was Stephen who first prayed to Jesus. But Stephen was not one of Jesus’ disciples. The fact that Mark, Matthew and Luke show that Jesus claimed to be of a higher status than the Muslim conception of a Messenger of God cannot be taken as proof that Jesus himself made that claim. This is evident from the manner in which Matthew and Luke composed their Gospels. One of their sources is Mark’s Gospel. And we can see that in rewriting the stories about Jesus Matthew and Luke, as compared with Mark, improved the image of Jesus. I provided eight examples to show that Matthew in particular (i) made people call Jesus Lord, (ii) made Jesus describe himself as Lord, (iii) made people call Jesus “Son of God,” (iv) made Jesus call God “my Father,” (v) made people pray to Jesus, (vi) reduced Jesus’ emphasis on One God, (vii) reduced the distinction between Jesus and his God, and (viii) covered the human limitations of Jesus. These eight examples were detailed in my earlier reflections on the debate (cited above). Moreover, I showed that whereas Mark’s Gospel ends at chapter 16, verse 8, scribes who found that ending problematic appended other endings. I argued that since a written tradition is fixed, and yet Christian scribes took the liberty of changing Mark’s ending, Christians must have made many more modifications to the oral tradition before the Gospels were composed. The Quran does not, in fact, approve of the Gospels in their totality as they are. The Quran says that when Christians claim that Jesus is the Son of God they are following the claim of earlier disbelievers (9:30). And it is not that the Quran is unaware of what the Gospels contain. Rather, the Quran shows deep knowledge of the Gospels. Moreover, the verse to which James referred (Quran 5:47) does not mean that the Gospels in their entirety are the Word of God. That verse means that the People of the Gospel are to judge not by everything the Gospels say, but by what God has revealed therein. Quran 5:46 says that in the Gospel are guidance and light. However, the fact that something contains an ingredient does not mean that all of that something is that ingredient. Hence the fact that the Gospels contain guidance and light does not mean that everything in the Gospels is guidance and light. I have shown that it is not just liberal scholars, but even conservative ones who hold that Matthew and Luke copied Mark. The nature of the modifications they made to the Markan episodes are clear for everyone to see. One does not need to be a liberal scholar to see these changes. The conclusion that Matthew and Luke used Mark as a source in composing their Gospels was accepted by F.F. Bruce whom James himself recommended to me as a conservative scholar. The same conclusion is also accepted by Richard Bauckham whom, after some hesitation, James accepted as a conservative scholar. Hence James is incorrect in saying that my criticism of the Gospel is based on liberal scholarship. I read all kinds of scholarship on both the Bible and the Quran. But then, based on the available evidence, I make up my own mind about what is true. I have shown that John’s Gospel enhances the image of Jesus much more than did Matthew. For example, according to Mark, Jesus prayed to be saved from crucifixion. But, according to John’s Gospel Jesus said that he will not utter such a prayer. This is because right from the start of John’s Gospel Jesus is declared to be the Lamb of God who takes away the sins of the world. In John’s Gospel Jesus came into the world precisely for the purpose of dying on the cross. This is why he will not pray to be saved from it. Whereas in Mark’s Gospel it was necessary for Judas to identify Jesus so that he could be arrested, in John’s Gospel this was entirely unnecessary. Rather, in John’s Gospel, Jesus gives himself up. No one dares to arrest him against his will. At the mere sound of Jesus’ voice the soldiers who were about to arrest Jesus fell to the ground. Those five points were my responses to James during the debate. From the above, it is clear that I have dealt effectively with all of the main points which James made. Yet James wrote that I did not respond to his presentation “to any depth at all.” It will be helpful if James could specify where he thinks my answers fell short of effectively dealing with his points. During the debate, I had shown eight examples where Matthew modified the story as compared with Mark. In my previous writing, I mentioned that three of those examples were challenged during the debate, and I explained again how I answered the three challenges. One of these challenges pertained to my second example. I feel that I have successfully countered that challenge. However, in his “Brief Thoughts,” James still holds on to his challenge to that very example. Since James and I cannot seem to agree on this point despite many attempts at explaining it to each other, I can only hope that readers will decide the issue and advise us appropriately. I will presently evaluate James’ response after restating the claim to which he is responding, as follows. Watch therefore—for you do not know when the master of the house will come, in the evening, or at midnight, or at cockcrow, or in the morning—lest he come suddenly and find you asleep. And what I say to you I say to all: Watch. (Mark 13:35-37 RSV). In that parable, Jesus uses the term ‘master of the house’ to refer to a human being—a homeowner who leaves his servants in charge. By means of this parable, Jesus is calling on his disciples to be on guard for they do not know when the ‘master of the house’ will return. This parable is generally interpreted as a reference to Jesus’ return. On that interpretation, Jesus gets the same title, ‘master of the house’—a title which referred to a human homeowner in the cited words of Jesus. γρηγορεῖτε οὖν· οὐκ οἴδατε γὰρ πότε ὁ κύριος τῆς οἰκίας ἔρχεται, ἢ ὀψὲ ἢ μεσονύκτιον ἢ ἀλεκτοροφωνίας ἢ πρωΐ . . . .
Γρηγορεῖτε οὖν, ὅτι οὐκ οἴδατε ποίᾳ ἡμέρᾳ ὁ κύριος ὑμῶν ἔρχεται. In Mark, Jesus refers to himself as ὁ κύριος τῆς οἰκίας (ho kyrios tēs oikias). In Matthew, Jesus refers to himself as ὁ κύριος ὑμῶν (ho kyrios hymōn). In Mark, Jesus refers to himself as ‘the master of the house’(ho kyrios tēs oikias). In Matthew, Jesus refers to himself as ‘your Lord’ (ho kyrios hymōn). In my previous paper, I argued that although the word kyrios (lord) appears in both Gospels, Mark used it to mean ‘master of the house’ but Matthew used it to mean ‘your Lord.’ The Greek texts which James cites actually prove that this difference exists between the texts. But, instead of acknowledging that fact, James delights in pointing out that prior to the year 2006 when I argued that Mark and Matthew were different at this point I did not know that the term kyrios (lord) occurred in both Gospels. I am actually glad to be reminded of my ignorance for, as the Apostle Paul said, “Knowledge puffs up, but love builds up” (1Corinthians 8:1). But my ignorance of Greek is not the issue here. The fact of the matter is that the two texts are significantly different both in English and in Greek. In Mark, Jesus told a parable in which the title ‘the master of the house’(ho kyrios tēs oikias) refers not only to Jesus but also to the householder to whom Jesus compares himself. In Matthew, however, Jesus does not compare himself to anyone. He just refers to himself as ‘your Lord’ (ho kyrios hymōn). Instead, we can see that both [Matthew and Mark] are giving us perfectly proper renditions of the same incident and the same words, one in fuller form than the other, both seeking to communicate the same concept, though to two different audiences. Now, let’s be fair. Did Matthew and Mark really use the same words? And did they really communicate the same concept? Is the following string of words: ‘the master of the house’(ho kyrios tēs oikias) the same as the following string of words: ‘your Lord’ (ho kyrios hymōn)? And, is the concept of ‘the master of the house’ (which in the Marcan passage can refer to an ordinary homeowner) the same as the concept of ‘your Lord’ (as the term appears in the Matthean passage)? According to James, Matthew was merely abbreviating the discussion. Again, let’s be fair. Is ‘your Lord’ as it occurs in Matthew an abbreviation of ‘the master of the house’ as it occurs in Mark? So, the question I come away with after reading James’ “Brief Thoughts” is this: Why does James make our conversation so difficult by refusing to admit the simple fact of the case? We can differ about the implications of this fact. We can argue about whether Matthew used Mark, and whether he was trying to change the story to improve the image of Jesus. But I expect James to admit the simple fact that ‘master of the house’ is significantly different from ‘your Lord.’ If we can agree that the two texts are significantly different, then we can ask why they are different. But if we cannot even agree that the two texts are significantly different then how could our dialogue bear fruit? In short, as I see it, my eight examples are valid, and, as shown above, it is difficult to understand James’ attempt to hold on to his objection to my second example. It may be that James finds it necessary to defend a statement he made during the Biola debate in 2006. During the cross-examination of the Biola debate, James suggested to me that the texts of Matthew and Mark both contain the word kyrios. Trusting James’ assertion, I immediately relinquished that as an example of Matthew’s modification of the comparable Markan episode. However, I found out later that James’ assertion was not the complete truth. The truth is that the two texts are substantially different—despite the fact that they both contain the word kyrios, as I have shown above. I then wrote a paper reclaiming that example as being genuine. That paper can be read here: http://answeringmissionaries.wordpress.com/2006/05/25/a-reassertion-that-matthew-2442-improves-the-image-of-jesus-over-that-of-mark-1335/. In the light of the above detailed treatment of the two passages in question, I am now convinced that James misled me about these passages during the Biola debate, though of course he did not do that deliberately. James erroneously claimed during that debate that since the word kyrios is used in both passages one passage does not represent an improvement over the other. At the time, James failed to see that the word was used differently in the two Gospels. That was his error then. I do not wish to dwell on past errors. I just do not see why James holds on tenaciously to his past error. I think he should simply let go. You can theorize all you want, but it is just as easy to theorize that Mark was written after Matthew and he is filling out Matthew’s all too brief description! Theories work that way. I will now show that theories do not work that way, and that the most viable theory is that Matthew used Mark. James’ understanding of how theories work is incorrect. The way theories work is as follows. Some initial observations give rise to a question. A scholar proposes a hypothesis to answer that question. The hypothesis is tested by other scholars attempting to disprove it or to dislodge it by proposing rival hypotheses. Some hypotheses fail. Eventually, a hypothesis is seen to have withstood many falsification tests, and is supported by other corroborating evidence. Such a hypothesis rises to the level of a theory. Further attempts are made to dislodge or disprove the theory. Some theories fail. Others succeed. Some theories become widely accepted by the scholars in the relevant field. Some competing theories are nonetheless accepted by a fringe element of scholarship. That is how theories work in general. The specific theory that Matthew and Luke used Mark as a source is widely accepted by scholars in the field. A few scholars nonetheless hold on to competing theories on the Gospels’ literary relationship. I am not saying that the majority is always correct. I intend in this paragraph merely to show that theories do not work in the way James claimed. There are many reasons for believing that Matthew and Luke used Mark. One reason is that, compared with Mark, Matthew and Luke show many improvements. Such improvements include the more accurate citation of historical facts, and, from a Christian point of view, the more accurate reflection of theology. In a previous debate with James, I mentioned several such features as were explained by Bruce Metzger in his book The New Testament: Its Background, Growth, and Content. Again, the difficulty we are having is that James ignores these points and proceeds as if they were never mentioned. It is easy to see why Matthew and Luke would want to improve the narratives. It is not easy to see why Mark would want to ruin them. For example, in terms of history, Metzger points to Jesus’ speech in Mark 2:26. There Jesus stated that Abiathar was the high priest at the time when David entered the house of God and ate the consecrated bread. According to Metzger, the mention of Abiathar in Mark’s statement is contrary to another account in the Bible—the account in 1 Samuel 21:1-7. Matthew and Luke omitted the mention of Abiathar in their accounts of Jesus’ speech about David’s deed (see Matthew 12:3 and Luke 6:3). Now, if Matthew and Luke were copying the episode from Mark, it is easy to see why they would want to omit the mention of the problematic name Abiathar. They were simply correcting the narrative so as to have it agree with 1 Samuel 21:1-7 in the Old Testament. But, if Mark was summarizing Matthew and Luke, it is not easy to see why Mark would go out of his way to mention Abiathar and thus to introduce a historical error into Jesus’ speech. These and other such improvements in Matthew and Luke show that they copied the episodes from Mark, not the other way around. Hence James is wrong to suggest that the theory that Mark used Matthew is just as viable as the theory that Matthew used Mark. Matthew’s modification of Mark makes sense. But Mark’s modification of Matthew makes no sense. As I promised above, I now return to the question of how Christians would have reacted if they were already familiar with one of the two Gospels, either Matthew or Mark, and then they happened to read the other of the two. Due to the improvements that we have seen in Matthew’s Gospel, and other important features of Matthew’s Gospel, Matthew’s Gospel eventually gained popularity over Mark’s Gospel. It is easy to see which of the two Gospels Christians would prefer—not the one that shows Jesus committing a historical error. Now, if Matthew was written first, and Mark attempted to introduce another version of the story in which Jesus commits a historical error, how would Mark convince Christians to take his Gospel as Gospel truth? On the other hand, those who already knew Mark’s Gospel would welcome Matthew’s Gospel as being a more accurate version from their point of view. To them, this is how the story of Jesus should be told. This explains how Mark gained popularity such that it was eventually included in the canon. It was written earlier. Hence it gained popularity before Matthew’s Gospel arrived on the scene. If Mark’s Gospel was written after Matthew’s Gospel had become popular, Mark’s Gospel would have soon been discarded and forgotten. James’ rationale for the value of Mark’s Gospel is that it is more concise and vivid. But what would Christians have preferred to read—a short Gospel that showed Jesus committing errors, or a longer Gospel that shows Jesus conforming to the Christian view of Jesus? Think again about the story of Jesus cursing the fig tree. During the debate I focused on the mistake of not knowing that it was not the season for figs. I excused the error from a Muslim point of view as a simple mistake that a human could make. But there is another problem with the story as it appears in Mark. Jesus appears to have cursed the tree out of his own anger and frustration due to no fault of the tree. If it was a bad tree, not bearing fruit when it should, we can understand James’ sermonizing about it as James did based on Matthew’s account. But when we focus on Mark’s plain statement that the tree had no fruit because it was not the season for figs, we realize that there was no problem with the tree. The problem was that Jesus was hungry. Seeing in the distance that the tree had leaves, he went up to the tree hoping that he would find fruit on it. But when he found no fruit he cursed the tree. This is not a simple human mistake. It is a moral problem. Of course a Muslim should not accept that Jesus made such a moral mistake without sufficient historical evidence. Nothing in our traditions prepares us to think that Jesus made such a mistake. He is always represented in the Quran and in the authentic hadiths in the most respectable manner possible given the obvious difference that in Islamic theology God has no co-sharer in his divinity. But, again, I ask, which Gospel would Christians have preferred to read—Mark’s shorter Gospel which shows Jesus committing a moral error, or Matthew’s longer Gospel which turns that mistake into the basis of a good Christian sermon? The answer is clear. As for theological improvements in the stories, Metzger has also given several examples. In my own presentation, I have given eight examples, and we have seen above that they hold up despite the challenges presented to three of these examples during the debate. Now let us consider my eight examples in the light of our present question: Is it more reasonable to suggest that Mark was copying Matthew in these instances, or is it more reasonable to suggest that Matthew was copying Mark? In Mark 9:5, Peter called Jesus “Rabbi.” But, in the same episode in Matthew 17:4, Peter called Jesus “Lord.” It is easy to see why Matthew would change Rabbi to Lord. It is not so easy to see why Mark would change Lord to Rabbi. In Mark 13:35, Jesus referred to himself as “the master of the house.” But, in the same episode in Matthew 24:42, Jesus referred to himself as “your Lord.” It is easy to see why Matthew would change ‘master of the house’ to ‘your Lord.’ The reverse is not easy to envisage. In Mark 8:29, Peter called Jesus “the Messiah.” But, in the same episode in Matthew 16:16, Peter called Jesus “the Messiah, Son of the Living God.” It is easy to see that Matthew inserted “Son of the Living God.” It is not easy to see why Mark would omit that designation for Jesus. Moreover, this example goes clearly against James’ suggestion that Matthew was abbreviating Mark. Here it is clear that Matthew expanded the address to include a significant title for Jesus. In Mark 3:31, Jesus referred to God as “God.” But, in the same episode in Matthew 12:46, Jesus referred to God as “my Father.” It is easy to see why Matthew would change “God” to “my Father” in Jesus’ speech. It is not easy to see why Mark would change Jesus’ speech the other way around. In Mark 12:29, Jesus, being asked what was the greatest commandment, replied as is known from Deuteronomy 6:4, “Hear O Israel: The Lord our God, the Lord is one; and you shall love the Lord your God with all your heart and with all your soul, and with all your mind, and with all your strength.” But, in the same episode in Matthew 22:37-38, Jesus replied, “You shall love the Lord your God with all your heart and with all your soul, and with all your mind.” I used this example to show that Matthew has omitted the words, “Hear O Israel: The Lord our God, the Lord is one.” While it is possible that Mark went to the trouble of inserting the text of Deuteronomy 6:4 into Jesus’ speech, it seems more likely that Matthew’s Gospel omitted Deuteronomy 6:4 from Jesus’ speech. Matthew’s modification thus reflects the tendency among Christians at the time to deemphasize the Old Testament’s insistence on Yahweh as the only God. In Mark 10:11-18, as Jesus was setting out on his journey, a man ran up and knelt before him, and asked him, “Good Teacher, what must I do to inherit eternal life?” And Jesus said to him, “Why do you call me good? No one is good but God alone.” But, in the same episode, in Matthew 19:17-18, the man came up to Jesus, saying, “Teacher, what good deed must I do, to have eternal life?” And Jesus said to him, “Why do you ask me about what is good? One there is who is good.” As James Dunn has pointed out, it is easy to see the change going from Mark to Matthew; and it is difficult to see the change going from Matthew to Mark. Matthew modified both the man’s question and Jesus’ answer. In Matthew, the man does not call Jesus good, and therefore Jesus does not rebuke the man for calling him good as Jesus did in Mark’s Gospel. But now, in Matthew’s Gospel, Jesus’ reply to the man’s question is difficult to appreciate. Why would Jesus say to the man, “Why do you ask me about what is good?” Was Jesus not a teacher of goodness? He would be expected to welcome anyone asking him, as the man asked, “Teacher, what good deed must I do ….” Moreover, why would Jesus at this point add, “There is only one who is good”? The man had not asked Jesus how many are there who are good. According to Dunn, the reason for the incoherence in Matthew’s Gospel at this point is that Matthew, while modifying the account is nevertheless trying to stay as close as he can to the Marcan account. Hence, by making patchwork changes, Matthew has produced an incoherent account. In Mark 11:12-14, Jesus was hungry. Seeing in the distance a fig tree in leaf, he went to see whether perhaps he would find anything on it. When he came to it, he found nothing but leaves, for it was not the season for figs. Jesus said to the tree, “May no one ever eat fruit from you again.” And the tree withered by next morning. But, in the same episode in Matthew 21:18, Jesus was hungry. And seeing a fig tree by the side of the road, he went to it and found nothing but leaves. Then Jesus said to the tree, “May no fruit ever come from you again.” And the tree withered at once. There are three major differences between the two episodes. First, Mark said that Jesus went to the tree “to see whether perhaps he would find anything on it.” Matthew did not mention the reason for Jesus going to the tree. Hence the fact that Jesus was disappointed is not as clear in Matthew as it is in Mark. Matthew did not mention that it was not the season for figs. Mark mentions that Jesus found nothing but leaves “for it was not the season for figs.” Hence from Mark’s Gospel the impression is clear that there was no problem with the tree. The problem was that it was not the season for figs. The episode in Mark thus highlights Jesus’ limited knowledge. It is easy to see that Matthew modified the narrative to avoid this implication about Jesus’ limited knowledge. It is difficult to see why Mark would take Matthew’s account and so change it as to make it appear that Jesus made such a mistake and then cursed the fig tree apparently due of his own frustration. The third major difference is as follows. In Mark’s account the tree was discovered withered as the disciples passed by it the following morning. But Matthew specifically says that the tree withered to its roots as soon as Jesus cursed it. Again, it is easy to see that Matthew has magnified the power of Jesus, and there is no reason for thinking that Mark would want to minimize Jesus’ power. From the above eight examples, therefore, the direction of development is clear. Matthew is not simply summarizing the episodes. He is modifying them to suit his theological purposes. In response to James’ suggestion that Matthew and Mark were both drawing on oral tradition, I have shown that there is a literary relationship among the Gospels. And, in response to James’ suggestion that it is just as viable to theorize that Mark may have used Matthew, I have given two responses. First, theories do not really work in such a simplistic fashion as James suggests. There has been a long history of scholars attempting to disprove or dislodge the theory that Matthew used Mark. But in the final analysis this theory has become widely accepted. Many conservative scholars now openly embrace that view. My second response was to revisit my eight examples to look at them in light of James’ suggestion that the theory that Mark used Matthew is just as viable as the theory that Matthew used Mark. I have thus shown that the two theories are not equally viable. In fact, the theory that Mark used Matthew leaves too much unexplained, whereas the theory that Matthew used Mark is quite comprehensive. I can tell you, without hesitation, that the vast majority of those who embrace form and redaction criticism in all of its flavors and kinds do so out of tradition, not out of having examined the case set forth in defense of these methods. Here James lumps form criticism and redaction criticism “in all its flavors and kinds.” By lumping together related but separable issues, James thus muddies the clear thinking we need to employ here. I will thus focus on redaction criticism of a specific kind, the study of how Matthew reworked the Markan episodes to emphasize a higher Christology. Even if it is true that most people who embrace the use of redaction criticism do so out of tradition, that does not prove that the tradition is invalid. By the same token, many people who reject the use of redaction criticism do so out of tradition. But that by itself does not show that their tradition is wrong. And here it is those who reject redaction criticism who are at fault. For, the field is built on the sort of firm evidence I intimated above. James blames redaction criticism on academia and its supposed anti-supernaturalism. But we should ask James what prevents conservative scholars from writing treatises that show the invalidity of redaction criticism. On the contrary, what happens in practice is that conservative scholars who have taken the time to examine the arguments gradually begin to accept redaction criticism. This results in a gradual shrinking of the world of conservative scholarship. It is not that conservative scholarship is being deprived of the opportunity for self-expression. There are seminaries which are geared towards producing conservative scholarship. And there are publishers interested in publishing conservative materials. The real problem is that conservative scholarship cannot fully engage with redaction criticism and remain completely conservative. Hence James’ reaction to redaction criticism is to view it with prejudicial disdain. The trend which James described is noteworthy. People have been leaving not only Christianity but also Islam and other faiths. But the departure of scholars from their conservative Christian foundations is, according to James, a major phenomenon in Christianity. We can understand the argument that if ordinary people leave their faiths this is due to their lack of understanding of their faiths. But what are we to say of scholars? They are leaving conservative Christianity after understanding it! But James does not see clearly where the problem lies. He thinks that the problem is entirely with the individuals, whereas part of the problem is that the faith propositions they have struggled to hold on to are difficult to maintain in the face of the available evidence. What is needed is for theologians to work out a viable synthesis of traditional faith and modern discoveries. This has to be done both for Islam and Christianity. Of course neither I nor James would want people to turn away from religion to atheism, to agnosticism, or to other forms of irreligiousness. It is my observation, however, that such a synthesis has proved difficult for Christian theologians. On the other hand, I believe that a true synthesis of faith and reason is viable when it comes to Islam. It is, however, beyond the scope of the present paper to elucidate that latter claim. James thinks that liberal scholars posit late dates for the Gospels because they cannot accept that true prophesies can be uttered. Such scholars say that the prophecies which the Gospels contain, and which were apparently fulfilled, were written after the fact. In James’ view, since the Gospels prophesy the destruction of Jerusalem, and Jerusalem was actually destroyed in 70 A.D., such scholars imagine that the Gospels were written after 70 A.D. Again, James is giving only a part of the story. As a Muslim, I believe in the occurrence of true prophecy. But that does not mean that I should accept every claim that a certain prophecy was fulfilled. In the case of the Gospels, it is well known that prophecies were written after the fact. The case in point is the detailed prophecy in the first three Gospels that Jesus will be arrested, and crucified, and that he will rise from the dead. This is contradicted by the Gospel of John and, indeed, by the tenor of the stories even in the synoptic Gospels. For, these stories show that the disciples had no idea that Jesus would rise from the dead until they discovered his tomb empty, and he appeared to them alive again. The prophecy that Jesus will be crucified and that he will rise from the dead, therefore, is widely regarded as having been put into the mouth of Jesus by early Christians after they had already arrived at the belief that Jesus had resurrected from the dead. Knowing this, can we really be blamed for thinking that some of the other Gospel prophecies were also written after the fact? And what are we to make of the two false prophesies which, as I mentioned in the debate, historians generally credit to Jesus on the basis of the Gospel testimonies? As I pointed out, scholars apply the criterion of embarrassment to evaluate these testimonies. The scholars say that Christians would not have credited those prophecies to Jesus if he had not said them. But a Muslim would say that the historians have made an incorrect judgment in this regard. To be sure, Christians would not have willfully credited to Jesus such prophecies as they knew to be false. But if Christians thought that a certain prophecy was true they could have mistakenly thought that such a true prophecy must have been uttered by Jesus. Nonetheless, since the Gospels do credit such false prophesies to Jesus, we can be excused for studying them as if they are human documents. To Muslims, these are human documents that contain some elements of the divine revelation that was once given to Jesus. If we are to accept all the sayings of Jesus in the Gospels, we would also have to accept the false prophesies as being his. Then we would have to conclude that Jesus was a false prophet. But, of course, a Muslim will not accept that Jesus was anything less than a true prophet of God. To be sure, the fact that two prophecies now turn out to be false does not constitute sufficient proof that all of the prophecies are false. Yet the two false prophecies, and the discovery that prophecies have been put into the mouth of Jesus after the fact, prove how human are the Gospels. Knowing this, the scholars rightly treat the remaining prophecies with some reservation. Attempting to prove the shallowness of liberal scholarship, and the anti-supernaturalism that undergirds such scholarship, James recounts his experience with his professors at Fuller Theological Seminary. James’ manner of argumentation here amounts to the fallacy of hasty generalization. This occurs when someone makes sweeping conclusions based on an unrepresentative sample. For example, you arrive in a country and the first person you meet has blond hair. You conclude from this that everyone in the country has blond hair. Such stereotyping, in logical terms, is called the fallacy of hasty generalization. In order to understand a field of scholarship one has to survey the scholarly literature in the field. You cannot consider your experience with a few professors at one seminary as being representative of every professor at every academic institution in the world. Nonetheless, James has presented an unflattering report about his professors. Apparently some of them could not explain to James why Matthew’s Gospel was not written by a disciple of Jesus, though the reader of even the present humble paper should have no difficulty offering some good reasons for that view. Moreover, those professors apparently did not know enough about redaction criticism to give James anything but the impression that the field rests on anti-supernatural presuppositions. Finally, I should say something about the false dilemma which James presents between supernaturalism and anti-supernaturalism. James wants Muslims and Christians to choose between being either supernaturalists or anti-supernaturalists. But there are other nuanced choices. For example, one could be a supernaturalist in the face of strong evidence of supernatural activity and yet be skeptical about claims of the supernatural which are not supported by strong evidence. Moreover, one can proceed on the basis of methodological naturalism and accept that something supernatural is at work when natural reasons are insufficient. Or, one can accept that God is continually working in the world through what most people would regard as natural causes. Muslims and Christians are like most other rational people. If I return to where I thought I parked my car only to find that it is not there, I do not immediately conclude that something supernatural suddenly occurred. I begin to think of the obvious natural reasons why my car is not there. The following questions will probably occur to me. Am I mistaken about where I parked my car? Did I park in a prohibited spot in which case the car has been towed? Is my car stolen—not by some extraterrestrials, but by some fellow earthlings? After exhausting all natural possibilities, I may conclude that something inexplicable has happened. I may describe the whole thing as being quite weird. Even then, I may have the feeling that I have not exhausted all the natural possibilities. I may think that perhaps I have overlooked something. However, as a believer in God, I will be open at this point to an understanding that God had something to do with the disappearance of my car. I intimated above that a supernaturalist may fully embrace natural causes and still think of God as working through natural causes. For example, when I fail to find my car where I thought I parked it, I may think from the start that God is testing my reaction to adverse circumstance. Will I remain patient with God? Or, God may be teaching me a lesson that I should not rely on material possessions which are here today and gone tomorrow. Rather, I should rely on Him who is everlasting. Yet my belief in God would not stop me from reporting that the car was stolen. Even when it is known that the car was stolen, I can still think that God is teaching me a lesson. In that case, I would think that God’s purposes in the world are carried out through the actions of his creatures, even actions, such as theft, which God does not sanction. Hence the simple dichotomy which James presents is misleading. Supernaturalism and anti-supernaturalism are not the only two choices. By offering that stark choice between only two alternatives, James attempts to dissuade Muslims and Christians from investigating the natural reasons for the discrepancies among the Gospels. If we start thinking about what Matthew did to the story, James associates us with anti-supernaturalists. To avoid such guilt-by-association, we are expected to jump to the other extreme and consider ourselves supernaturalists. For James, that entails that we close our eyes to what Matthew has done. Our response is that there are middle alternatives between those two choices. The dilemma which James posed is based on a false dichotomy. In the case of a scripture that is known to be from God, we would be hesitant to investigate its origins from a naturalistic point of view. But over the last four hundred years, the Gospels have been shown to contain so many errors and contradictions that it was inevitable that they would be viewed as human documents with a divine element even by conservative Christians. Even the dichotomy which James has made between liberal and conservative is not as sharp as James would have us believe. There is a spectrum of scholarship. If a scholar was once considered conservative, he would soon be considered less than conservative if he begins to apply redaction criticism to the Gospels. The difficulty for James is that the boundaries of conservatism have shifted outward to accommodate those scholars who would otherwise have fallen out of the fold of conservatism. James is not comfortable with such movable boundaries. In short, the validity of redaction criticism does not depend on a liberal worldview or an anti-supernaturalist worldview. Yet James spent a great deal of energy arguing that it does. He has confused correlation with causation—thus committing a common logical fallacy. It is true that liberals are more likely to use redaction criticism, and that conservatives are more likely to resist redaction criticism. And it is also true that liberals are often anti-supernaturalists in their outlook whereas conservatives are undeniably supernaturalists. But this does not mean that the liberal worldview is the cause of redaction criticism in the first place. It may be that redaction criticism itself creates liberal scholars. Of course, the developments could spiral in the following way. First, scholars apply redaction criticism because, as Tom Wright explained, each Gospel writer has a unique agenda that is worth discovering. Second, having applied redaction criticism, scholars see the way in which the Gospel writers reshaped the stories. Third, the scholars become less than conservative as a result of these discoveries. Fourth, the scholars apply the method again, going deeper the second time around. Fifth, they see more results which push them farther away from the conservative core, and so on. Eventually, the liberal camp swells, the conservative camp dwindles, and James remains one of the few who would publicly denounce redaction criticism. Yet James does so not by harnessing evidence against redaction criticism, but by poisoning the well of such knowledge so that his conservative followers would not dare to drink from it. In the last paragraph of part 1 of his “Brief Thoughts,” James attempts to show that I am inconsistent in my approach. He argues that whereas I apply critical methods in dealing with the Bible, I do not apply similar methods in dealing with the Quran. James expands on this claim in part 2 of his “Brief Thoughts.” Hence I will expand on my answer in this regard when I respond to his part 2. For now, however, it should suffice for me to say that consistency requires treating similar things in a similar manner. Consistency does not require that we treat all things in the same way. Hence we should treat all humans the same way, for they share an essential similarity. But we should not treat all books in the same way. Is James asking us regard the Bible in the same way as we regard all other books in the world? If the Quran and the Bible share some essential similarity, they should be treated the same way as far as that similarity is involved. But where they are different their essential difference cannot be ignored. When [Shabir] defaults to Brown or others like him, who themselves operate solely in the realm of redaction and simply dismiss as out dated and irrelevant the need to harmonize (not on a surface level, but on a much deeper level that is consistent with meaningful historical inquiry), he is doing the very thing he cannot allow to be done when it comes to the Qur’an. It is interesting that James would not miss the opportunity to highlight my mention of Raymond Brown. Yet it is important to place the mention of this scholar within the context of our recent debate. In my main presentation I made no mention of Brown. He only came up during the cross-examination when James asked me about my position regarding the Paraclete sayings in John’s Gospel. It was then that I explained that my approach to John’s Gospel largely follows from Brown’s analysis. But, in his “Brief Thoughts” James found space to capitalize on the mention of this scholar whom James feels comfortable in criticizing. My main presentation, however, depended on Markan priority. And, as I asserted, this was the view of both F.F. Bruce and Richard Bauckham. James should give these two scholars the attention they held in the debate. Brown was not a chief player. In fact, James’ mention of Brown makes me feel that the mere fact that Brown was ever mentioned in the debate presents a barrier to James’ thinking. As he does in much of his paper, James makes many unsubstantiated claims and accusations. I wish he would make fewer claims and give more evidence. Here he makes a sweeping claim about Raymond Brown “and others like him.” In Brown’s defense, I will note that he is one of the most studious New Testament scholars of our recent times. Though a Catholic, his scholarship is widely acknowledged by both Catholics and Protestants. Bruce Metzger, a conservative Protestant scholar praised Brown’s Introduction to the New Testament with these words: “If a person would own only one book on the New Testament, this is the one to have.” We cannot know precisely what James means by “others like him.” But I can say with certitude that, contrary to James’ claim, Brown does not simply dismiss as out dated and irrelevant the need to harmonize. Brown investigates historical questions in great detail. He does try to harmonize the Gospels at a deep level that is consistent with meaningful historical inquiry. If James thinks that this is not so, he should point to a few instances in Brown’s works to substantiate his accusation. What I find is that Brown carefully examines the data. Where the data is discrepant, he admits that this is so. For example, he undertook a detailed examination of the Gospel stories which show that Jesus appeared to his disciples on Easter Sunday and thereafter. Brown then admitted that the various attempts which Christian scholars have made to harmonize the reports do violence to the text. He then offers a harmonization of his own which, admittedly, could not incorporate all the details of the Gospels. In the end, James will not be satisfied with Brown’s harmonization, since Brown admits that the Gospels are not completely reconcilable. But James cannot honestly say that Brown lacks depth in his analysis of the various attempts to harmonize the data. In the end, it has to be admitted that the Gospels contradict each other with regards to the said post-resurrection appearance stories. They do not agree as to when, where, and to whom Jesus appeared. Hence Brown does not begin with the assumption that the Gospels contradict each other. That is the conclusion he arrives at after a detailed investigation of the Gospels. Likewise, I do not begin with the assumption that the Gospels contradict each other. That is not my beginning assumption but my present conclusion. [Shabir] would not wish us to begin with the assumption of error and inconsistency on the part of the Qur’an, yet his entire argument against the gospels does just that. Contrary to James’ assertion, I do not wish for Christians to begin with the assumption of error and inconsistency on the part of either the Quran or the Bible. The most responsible approach to books, whether religious or non-religious books, would be for us to assume that the author explains in one part of his work what he means in another part. We thus attempt to harmonize. If some apparent discrepancies appear, we may assume that there is something about the author and his writing that we do not quite understand. But if the errors and discrepancies are many, then such a charitable assumption becomes considerably strained. In the case of the Bible the errors have been found to be so numerous that we can no longer assume that the errors we see are only in our imaginations. If the Quran can be shown to be likewise riddled with errors, then I would readily grant that the Quran should be approached in the same manner as the Bible. James attempts in part 2 of his “Brief Thoughts” to show that the Quran does contain some discrepancies. I will analyze his claim in my reply to part 2. For now, I will state in brief that James has not shown a real contradiction in the Quran. The Quran’s style is generally not to relate stories in detail. Rather, the Quran would allude to a story by mentioning some parts of it while driving home the lessons of the story. If the same story is alluded to again in the Quran, other details of the same story may be mentioned, and again lessons drawn. Often the detailed story to which the Quran alludes, are found in the Bible. Such is the case with the stories of the Biblical prophets which are alluded to in the Quran. When we keep in mind the complete Biblical story, we can see that the Quran in various places refers to various parts of that story. Whether or not the story is in the Bible, one must attempt in a reasonable way, as we do with other books, to see if the various parts of the story can fit into a reasonably reconciled whole. If such an attempt fails, then we should regard the Quran as a human document as we do the Gospels. We will see, however, that James has not proved the presence of any discrepancy in the Quran whereas in the present paper we have seen numerous and substantial discrepancies in Gospels. Hence the two documents are sufficiently different to merit two different approaches to them. Moreover, from the very inception we should see how the Quran is similar to and yet different from the Gospels with regards to the question of redaction criticism. Redaction criticism involves the discovery of an author’s proclivities in the manner in which he handles his sources. In the case of Matthew, we have discovered his source to be Mark’s Gospel. And we can see in detail how Matthew has modified the reports to support his own view of Christ. The problem this poses for Christianity is that both Mark and Matthew are considered divinely inspired documents. Hence the question arises: Why would the same Holy Spirit inspire Mark to write the account showing, for example, that Jesus did not know the season for figs, and then inspire Matthew to rewrite the account to avoid that implication? In the case of the Quran, when historians posit sources for it they are not positing sources which Muslims consider to be, in their present state, divine revelations. Hence the manner in which the Quran apparently modifies the stories in those sources from the perspective of the historians does not pose a problem for believers. Moreover, in the case of the Quran, Muslims believe that the scripture was all revealed to one individual. Even from a naturalistic point of view, the Quran has only one author. And it is reasonable, as I have shown, to presume that an author does not contradict himself. In the case of the Gospels, however, we are not dealing with one book but four books. We are not dealing with one author, but four authors. It is reasonable to assume that an author means in one part of his work what he has written in another part of the same work. It is less reasonable to assume that one author meant in one book what another author wrote in another book. Even so, if we are dealing with various reports of the same event as given by various authors, we should still attempt to harmonize them. We must consider the possibility that the various authors are offering complementary details of the same event. Yet we should not lose sight of the fact that it is more reasonable to reconcile the statements of a single author, than it is to reconcile the statements of various authors. To put that another way, the likelihood that a single author is consistent with himself, is greater than the likelihood that four authors are consistent with each other. Hence, it is more reasonable to assume that the Quran is consistent with itself than it is to assume that the Gospels are consistent with each other. That initial assumption, however, has to be tested by the facts. But what do the facts prove? In the case of the Gospels, as I have shown above, it is clear that there are too many substantial discrepancies for us to ignore them. In my reply to part 2 of James’ “Brief Thoughts,” I will analyze his claims that there are discrepancies in the Quran. There I will show in detail that the initial assumption that the Quran is consistent with itself is not disproven by the parallel passages presented by James. In short, I thus have a coherent position. I treat like things alike; and different things differently. I approach books with the assumption that I will learn of an author’s thoughts from various parts of his or her book; and that the various parts are harmonious. If I find what appear to be discrepancies and errors, I will at first suppose that there is something that I do not quite understand. But if I find that there are too many such discrepancies and errors; and that my attempts to harmonize them fail, then I will seriously doubt that the author has it all together. I apply the same measures to both scriptures: the Bible and the Quran. Richard Bauckham, Jesus: A Very Short Introduction (Oxford: Oxford University, 2011) p. 17. For a more detailed explanation, see Norman Perrin, What is Redaction Criticism? (Philadelphia: Fortress Press, 1969 rpt. 1976) p. 1; James Dunn, “The History of the Traditions of the New Testament,” in Eerdmans Commentary on the Bible, ed. James D. G. Dunn and John W. Rogerson (Grand Rapids, MI: Eerdmans, 2003) p. 968. Tom Wright, The Original Jesus: The Life and Vision of a Revolutionary (Grand Rapids: Eerdmans, 1996) p. 106. Tom Wright, The Original Jesus: The Life and Vision of a Revolutionary (Grand Rapids: Eerdmans, 1996) p. 126. Parentheses original. Robert Stein, The Synoptic Problem: An Introduction (Grand Rapids: Baker Book House, 1988) pp. 37-43. Bruce Metzger in his book The New Testament: Its Background, Growth, and Content (Nashville: Abingdon, 1965) pp. 81-83. J. C. Fenton, The Pelican New Testament Commentaries: The Gospel of St. Matthew (London: Penguin, 1963 rpt. 1987) p. 130. Robert H. Gundry, Matthew: A Commentary on His Literary and Theological Art (Grand Rapids: Eerdmans, 1982) p. 155. James Dunn, The Evidence for Jesus: The Impact of Scholarship on Our Understanding of How Christianity Began (London: SCM Press, 1985) pp. 20-21. Raymond Brown, Introduction to the New Testament (New York: Doubleday:1997) rear dust jacket. Original followers of Jesus (pbuh), the Nasorean Jews never believed in Greek Testaments used by Christian Romans. After all the Greek Testamenst are filled with fables written after the ascend of Jesus to heaven. Kartir, the Zoroastrian high priest and advisor to Hormizd I in the late 3rd century c.e., campaigned against other religions among which he clearly distinguished Christians from Nasoreans. Kabah of Zartusht”And in kingdom after kingdom and place after place throughout the whole empire the services of Ahura Mazda and the Yazads became preeminent, and great dignity came to the Mazdayasnian religion and the magi in the empire, and the Yazads and water and fire and small cattle in the empire attained great satisfaction, while Ahriman and the devs were punished and rebuked, and the teachings of Ahriman and the devs departed from the empire and were abandoned. And Yahud (Jews), Shaman (Buddhists), Brahman (Hindus), Nasara (Nasoreans), Kristiyan (Christians), Maktak (Baptisers), and Zandiks (Manichaeans) in the empire were smitten, and destruction of idols and scattering of the stores of the devs and god-seats and nests was abandoned. This made my day! Hilarious! And so true! I have heard a few convincing Muhammad in the Bible arguments, but as usual, Muslims have not done the necessary research to back them up properly. I think the best bet will be someone like Shabir Ally who seems to rely on proper academic sources and is not dense and stupid like most Muslim apologists…don’t know what he has said on it. Didn’t he debate this with James White? Sadly, although I have heard of ‘Tenku Shinpan’ online, it is not released in the UK at all, which is usually very poor at releasing Manga (even famous titles like ‘Billy Bat’ By Naoki Urasawa are not out here despite being translated into Spanish and Italian). It does seem very interesting but I struggle to read anything online, especially comics/Manga. Is it worth reading? I highly recommend both ‘Monster’ and ‘Pluto’ by Naoki Urasawa as well as ‘Fullmetal Alchemist’ (which features and anthropomorphic God that will please Wahhabis no end) by Hiromu Arakawa and of course the legendary ‘Death Note’. I recently also saw the anime of ‘Attack on Titan’, which I expected to be stupid but was in fact excellent. Assalamualaikum Dr Shabir Ally, I really would love to meet you or speak to you in shaa Allah… please send me your email address Dr. May Allah reward you for all your works to spread the truth of Islam.